The city of Cape Town is seriously overachieving. Boasting dramatic mountain ranges, the Cape Floral Region (the smallest yet richest floral kingdom on the planet), pristine white beaches and a bustling city centre, it’s little wonder it’s been named the best destination in Africa at the World Tourism Awards seven times in the past 20 years. The city has a noteworthy but problematic history, from its origins as a Dutch colony to its fight to end apartheid, which culminated in Nelson Mandela’s iconic speech from the balcony of City Hall in 1990. Cape Town has emerged from this upheaval as a diverse and trendy destination for visitors from across the globe. Table Mountain remains one of the region’s most popular attractions, welcoming more than one million visitors every year. The remarkable flat-topped mountain is home to an estimated 1,500 species of plants that are unique to the Cape Floral Region, as well as animals such as zebra and wildebeest. Cape Town’s urban tourist economy has exploded in recent years, with new galleries, bars, restaurants, artisan markets and design-savvy shops springing up across the city. The Neighbourgoods Market in the Old Biscuit Mill offers a snapshot of the local cuisine, while the vibrant Kloof Street is lined with the city’s coolest bars and restaurants. For visitors looking to stray a little further afield, there’s a huge amount to experience in Cape Town’s surrounding areas. For those keen to explore the city’s complex history, there’s the District Six Museum, which educates visitors on how apartheid affected one of Cape Town’s most diverse suburbs. District Six was originally home to a richly varied community of freed slaves, migrants, workers and merchants, but in the early 20th century, people of colour were forcibly removed from the area and forced to live on the scorching Cape Flats on the outskirts of the city. The museum draws upon photographs and first-hand accounts of the period to detail the destructive effect that apartheid had on the community. 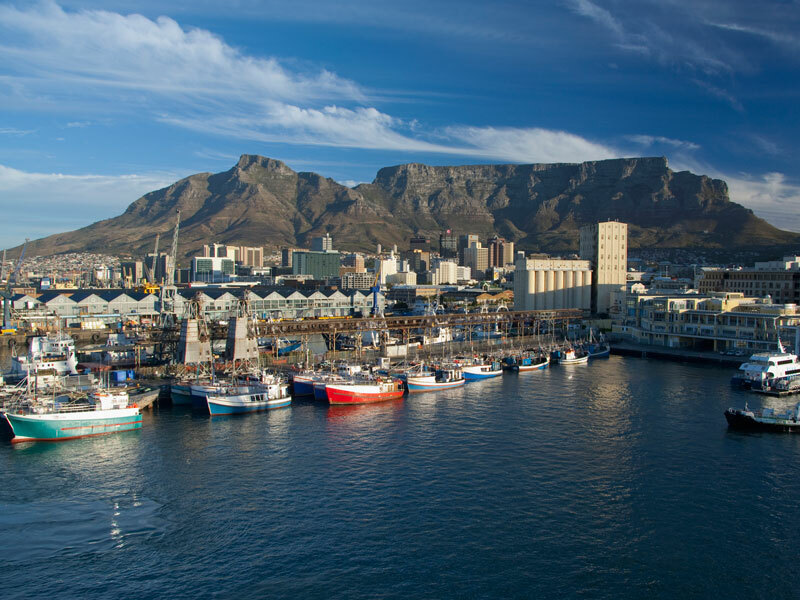 Likewise, Robben Island, the notorious location of the prison that held Nelson Mandela and other liberation fighters, is a short boat ride from the city’s coastline. Uniquely, many of the prison’s guides are former inmates who offer harrowing accounts of the conditions they suffered while jailed there. A little further down the coast, on the way to Cape Point, lies the penguin colony at Boulders Beach, where visitors can swim among penguins in the admittedly chilly Atlantic waters. Further along the peninsula is Kalk Bay, a picturesque fishing village complete with bright wooden houses lining the streets and several natural tidal pools for swimming on the seafront. Further still, beyond the city’s dramatic mountainous confines, is the famed Stellenbosch Valley, part of the Cape Winelands district, where the majority of South Africa’s wine is produced. There are more than 150 viticulture estates in the Stellenbosch region alone, all of which offer tasting sessions for guests to sample a range of vintages. Travel company Camino organises wine tours around the Winelands, allowing guests to experience off-the-beaten-track estates, meet with local viticulturists and enjoy the best wine the region has to offer.